A new Grattan Institute report released today, Access all areas, tells a mixed story about Australians’ access to general practitioners (GPs). The good news is access is getting better in many parts of Australia. The bad news is the progress is slowest where it’s needed most. And if we continue with current policies, it will take 65 years before people in many parts of rural and remote Australia have the same level of access to general practitioner services as city dwellers do. 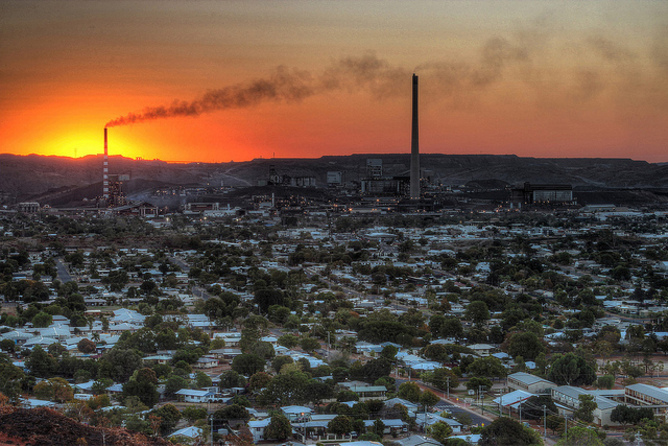 The facts are stark: residents in Mt Isa, for example, have access to 68 equivalent full time GPs per 100,000 people – about half the 120 available to the residents of Sydney’s eastern suburbs. Access problems are real: people in rural and remote Australia wait longer and pay more out of their own pocket when they eventually get to see a GP. 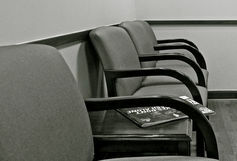 They are more likely to skip consultations because of costs and risk getting sicker before they get care. Geographical inequality is also expensive for hospitals and taxpayers. When people in low access areas are admitted, they have higher costs for each admission. Today’s report says enough is enough; a different approach could cut the wait for equitable access from 65 years to five. 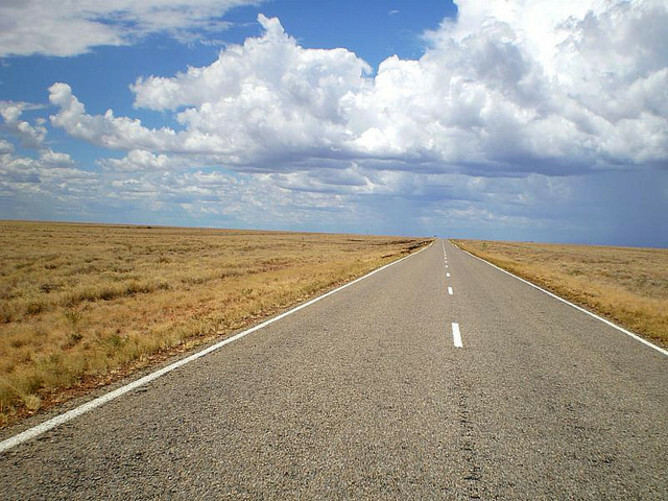 The Commonwealth government has introduced dozens of schemes to try to address the rural access issue. But a recent government review found many of these were poorly targeted, most were unevaluated, and almost none had any solid evidence base. Some initiatives seem to work and should continue, even though the pace is glacially slow. We need to expand the work of rural and remote area nurses, for instance. Nurse practitioners (nurses in advanced roles who can prescribe medication) have a critical role but despite decades of talk, there are fewer than 900 nurse practitioners in all Australia, many of whom work in cities. But the Grattan Institute’s report suggests that if we are to make real progress we also need to try something new. The report focuses on just seven geographic areas that have the worst access to general practitioners and proposes reforms to get them to a basic standard of care. About a fifth of all GP consultations are at the “less complex” end of the health care spectrum. Analysis of data from the Bettering the Evaluation and Care of Health (BEACH) Program, commissioned by the Grattan Institute, showed that in 19% of all GP consultations in 2011 only one condition was managed, there were no referrals to specialists or for diagnostic tests or imaging, no procedures other than vaccination were performed, and only one or two prescriptions were written. 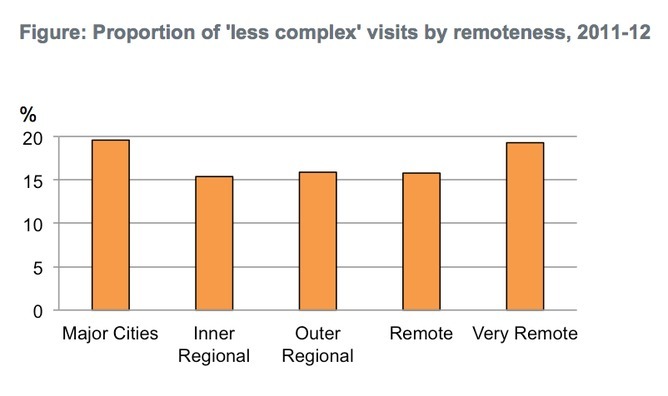 The rate of less complex consultations was slightly lower in rural and remote areas where these types of conditions may have been squeezed out due to the pressure of other, more complex, cases. The Grattan Institute’s report proposes that about a quarter of this “less complex” workload could be shifted to other professionals, freeing up GP time for other patients. Pharmacists should be able to give vaccinations. About 5% of GP visits are for a vaccination with nothing else recorded during the visit. Pharmacists could undertake some of this workload. With patient and GP consent, pharmacists could be authorised to issue and fill repeat prescriptions. These should be recorded in the patient’s personally controlled electronic health record. Again with patient and GP consent, the pharmacist could take a greater role in managing medications for people with chronic conditions. Pharmacists may require some additional training to take on these roles but they’ve got a good base already. They’d also have to be remunerated, Grattan estimates this would cost around A$4 million a year. Queensland and South Australia have piloted the introduction of a new type of health professional: physician assistants. Initially the pilot recruited US-trained physician assistants but both the University of Queensland and James Cook University have delivered programs for local students in the past. Physician assistants are unique because they practise under delegation from a medical practitioner. This means they can have a very broad range of functions, including diagnosis, treatment and referral, within the context of a general practice. Physician assistants could be used to fill some of the GP gap at a cost of A$26 million a year. The two Grattan proposals recognise the importance of team work in primary health care. They are designed to reduce the workload of over-stretched GPs, but in a way that keeps the GP’s central role in the care of his or her patients. The total cost of the Grattan proposal (if implemented in 2011-12) would have been A$30 million a year. Earlier Grattan work has identified a potential source of savings in the high costs Australia pays for generic drugs. Savings could easily be found in some ineffective health workforce programs, too. By reducing hospital admissions and costs, better access to GPs in rural and remote Australia may be financially smart, as well as more equitable. One in 20 Australians lives in the areas Grattan identifies as providing very poor access to GP care. Current policies condemn them to remain so for another half century or more. We need to go further and faster to give these Australians a fair deal. Stephen Duckett does not work for, consult to, own shares in or receive funding from any company or organisation that would benefit from this article, and has no relevant affiliations. Australian Regional Development Conference will discuss health care in rural areas as part of the community development streams. Please contact the conference secretariat if you have any questions about the call for abstracts which close on the 28th April 2014. We invite you to submit an abstract for the Australian Regional Development Conference which is being held in Albury, 15-16 October, 2014. “Where to from Here?” will provide equal focus to the advancement of economic and social outcomes for regional Australia. If you live far from a city, you are likely to be in poorer health than your urban counterparts; you’re also less likely to use health-care services and if you do, you’ll have to wait longer for care. 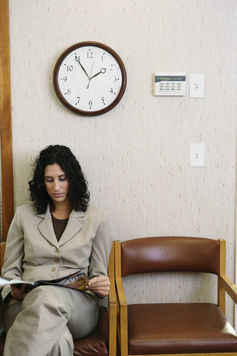 In rural areas, almost one-third (29%) of patients wait 24 hours or more to see a GP for an urgent appointment. Waiting times for emergency hospital care are also getting worse in rural areas but improving in major cities. If you live in the country, your GP is more likely to have qualified in Europe, the Indian sub-continent, or Asia, than Australia. GPs from overseas are forced to work in rural areas for a fixed period after they arrive, with around 40% of doctors in rural areas qualified in other countries. These GPs fill an important gap; in the absence of effective policies to encourage Australian-trained GPs to work in rural areas, we will continue to rely on overseas-trained doctors for some time. This is a very cost-effective policy for Australia, but the ethics of depleting the supply of doctors from developing countries are murky. Many of these doctors want to eventually work in the city, and so they are difficult to retain once their obligatory time in the bush is completed. The release on Friday of a Commonwealth-commissioned, independent review of Australia’s health workforce programs is one in a long line reports that have attempted to shift the balance between metropolitan and rural access to health care. Yet after each review, we find ourselves in the same position: spending hundreds of millions of dollars on new programs with no evidence of their effects. Yes, there are many and well-intentioned policies that focus on recruiting people into medicine who grew up in rural areas, and increasing the amount of medical training based in rural areas through rural-based clinical schools. But these policies are expensive and we don’t know whether they work. A lack of any proper and rigorous evaluation means that we cannot move on because we do not know if anything has changed. In the meantime, rural waiting lists are getting longer and health inequities widen between those living in rural and metropolitan areas, suggesting we need to do more. Persuading a doctor to move to the bush, or to persuade doctors already there to stay, depends on a complex mix of family, professional, and social factors. Funding and financial incentives play an important role – and are the government’s main policy lever. Funding can be paid directly to GPs, or can be used to fund locum cover (replacement doctors) or other means of support. But a financial solution alone isn’t cheap; a recent study found that GPs would need to be paid A$270,000 in take-home pay to move to the “worst” rural area. But improved working conditions would reduce this amount. Financial incentives are certainly not the only way to recruit and retain doctors in the bush. The MABEL survey of Australian GPs identified six key factors that influence doctors’ decisions: on-call requirements, hours of work, the ability to take time-off, spouse employment opportunities, schooling arrangements, and public hospital work. These six indicators have been used to develop a new rural classification system based on population size, which will be developed further over the coming months. This new system will be used to improve the allocation of funding for rural incentive schemes. Ideally, the distribution of these funds should be based on which areas and towns are in more “need” of doctors than others. The areas that have higher needs than others – poorer health and worse risk factors for disease, longer waiting times, and GPs who working long hours and provide 24-hour care – should therefore receive a greater level of funding to attract more doctors. So will this new classification system lead to more doctors in the bush? Better targeting of incentives should mean that areas that really need a doctor are more likely to get one. But to demonstrate this and ensure the goals are being met, we need good evaluation built into the program roll-out. Policymakers are often too keen to get the money out of the door than spend some time and money building in proper evaluation. This needs to change, otherwise we will be having the same discussion in five to ten years time. Anthony Scott receives funding from the Australian Research Council and National Health and Medical Research Council (NHMRC). The NHMRC funds the Centre for Research Excellence in Medical Workforce Dynamics, which houses the Medicine in Australian: Balancing Employment and Life (MABEL) longitudinal survey of doctors. A key research theme of the Centre is rural workforce supply and distribution, and MABEL data were used in the latest government report mentioned in the article. at the Australian Regional Development Conference will discuss health care in rural areas as part of the community development streams. Please contact the conference secretariat if you have any questions about the call for abstracts which close on the 28th April 2014. The recently released report from the House of Representatives’ inquiry into the registration processes and support for overseas-trained doctors highlights some major shortfalls in how Australia’s health workforce is organised. Poignantly titled Lost in the Labyrinth, the report explains how on the one hand, we rely on the skills of overseas-trained doctors, who account for 40% of the clinicians in regional Australia. On the other hand, we subject them to an enormous amount of red tape and administrative hurdles to have their overseas qualifications recognised. Some groups, particularly specialist colleges, refuse to accept these highly qualified professionals and insist on them redoing basic examinations rather than assessing them on their job skills and providing on-the-job training. Also in the report, the parliamentary committee rightly recommends a review of the ten-year moratorium on the requirement for overseas-trained doctors to work in an “area of need”. Currently, newly arrived doctors must service a geographically isolated are for ten years before being eligible to gain full Medicare access. This rule should be modified to ensure overseas-trained doctors have access to services and support in the early years of their practice in Australia. Worryingly, the committee noted that almost one third of the overseas-trained doctors who made a submission to the inquiry did so anonymously because of concerns their comments would adversely impact on their training and careers. This alone shows the need for some fundamental changes in how we manage Australia’s health recruitment and workforce training. We must encourage openness among health professionals and allow challenges to authority. Overseas-trained workers contribute significantly to our world-class health system and their skills will be required in future to help meet the challenges of Australia’s ageing and chronically diseased population. The Commonwealth government recently acknowledged this reality as one of four key factors in driving health workforce sustainability up until 2025. But we can, and must, improve our health workforce recruitment and training processes. 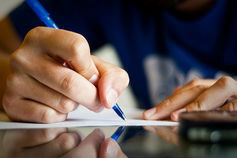 Small changes to reduce administrative duplication and streamline the registration processes could make a big difference to the lives of many overseas-trained doctors. This could include the use of on-the-job evaluation tools such as simulation, monitoring and mentoring programs. We also need to tackle the important ethical issue of taking health workers from low-income countries, where they’re desperately needed, to staff our relatively human resource-rich system. We will always find it challenging to attract doctors to work in rural and remote Australia. So we need to start considering other ways of delivering health services to these geographically isolated areas, without necessarily providing more doctors. This includes restructuring the traditional health care team and creating “virtual” teams. If a rural health practitioner has good access to video conferencing and monitoring devices for chronic diseases such as diabetes, she can access the expertise of specialists working in larger regional centres or cities. That means her patients don’t have to take time of work or leave their support community, but still receive quality health care. And there’s no reason why these health practitioners have to be doctors: they could be skilled nurse practitioners, allied health professionals or perhaps new types of health professionals, such as physician assistants. This role developed from the medics programs during the Vietnam war – to work as part of a team with a doctor – and has since grown to a workforce of 75,000. A recent review of the contribution of physician assistants to primary care in Australia shows the model works well, particularly well in rural areas: physician assistants work successfully as part of a health care team, patient outcomes remain good and patients are well satisfied with the care they receive. Let’s imagine that small rural communities across Australia have a mix of so-called middle level providers: nurse practitioners, physician assistants, paramedics, pharmacists and allied health professionals who all have generalist skills. These professionals could work with GPs and other specialists in distant centres as a virtual “community of health practitioners”, delivering high quality care across this vast land. So what’s holding us back from making this dream a reality? First, we need to encourage new models of care delivery by expanding the scope of practice of current health professionals. This includes the right to prescribe medicines and perform minor procedures. We also need to develop training programs for these mid-level health practitioners (physician assistants, allied health practitioners, care assistants) and ensure they’re able to gain registration and employment. We should support a limited number of overseas-trained doctors with good mentorships and appropriate recognition of qualifications. But at the same time, we need to reduce our dependence on graduates from low-income countries. We are a rich and innovative nation – surely we can provide a sustaining health workforce while fulfilling our ethical obligations not to take doctors from countries that need them more that we do. Are mid-level health providers to answer to Australia’s rural health workforce shortage? Share you comments below. Peter Brooks does not work for, consult to, own shares in or receive funding from any company or organisation that would benefit from this article, and has no relevant affiliations. The recent report of the Senate Inquiry into rural health services gave tantalising glimpses of how the future of rural health services should be. But its central theme is not new. The persistent and consistent message (that it’s hard to get health professionals to work in rural areas because it’s personally and professionally challenging) does little to get the policies rural communities really need to sustainably address health challenges. But research considering what would make doctors and nurses (and now allied health professionals) work “out there” lumbers on, considering, for the most part, the carrot or the stick. It misses the fundamental point that addressing rural health care isn’t about providing incentives or bonding individuals, but about changing the system. Rural is not simply urban with trees and animals. And not all rural is alike – coastal, regional and extremely remote areas all have different challenges. To varying degrees, there are fewer people, they’re ageing and they’re sparsely spread. And there isn’t enough local work for specialised practitioners to retain their skills, as noted by the Senate Inquiry. 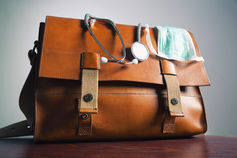 Increasingly, someone who might be regarded as a specialised practitioner in an urban area (such as a doctor who just works on arms) is dramatically different to what specialisation might be considered in a rural context, where even some allied health professions are considered specialities. A rural diabetes patient might need dietetics, podiatry, exercise advice, prescribing and pain relief. But requiring a clutch of health professionals each with their delineated specialist role to deal with all of this individual’s needs is unrealistic. A better approach understands that a set of health and social care competencies are needed locally for flexible practice – continuity and security as opposed to platoons of detached fly- or drive-in, fly- or drive-out specialists. Focusing on traditional doctors and nurses is outdated and unsuitable due to modern health needs and demographics. In a Scottish rural community study, we turned service design on its head and let local citizens decide on priorities. We acted as researchers for communities and provided data and evidence on which to base decisions. Community members were given the current local health-care budget, and all four communities arrived at similar priorities: the ongoing presence of a locally-resident health practitioner; 24/7 access to triage to detect real emergencies; monitoring of vulnerable people to avoid crisis; local community volunteer activities for health improvement and maintenance, led by a paid, knowledgeable (health) leader. From a choice of existing health roles, community members couldn’t find the practitioner they truly desired. They wanted parts of the skill-set of nurses, doctors and health promotion advisers. The closest they could find were physician assistants, nurse practitioners and paramedics. Communities found designing the services they needed was the easy step. But getting their innovative models implemented was pretty much impossible. Archaic health-care organisational and financing structures and professional groups’ interests got in the way. Providing health care for rural communities is different to what happens in cities and trying to impose a one-size-fits-all model isn’t working. Rural health services are part of a complex web, spreading out from the individual, to the local community, to regional hospitals, to the big metropolitan tertiary hospitals. Different places in the system need different levels and mixes of skills. Good e-health and transport links should enable connections between its parts, allowing people access to the level of specialist treatments they need. In spite of its awesome wildernesses, Australia is a metro-centric country with a confused and confusing relationship with the countryside. Inequities will not be addressed if we continue trying to provide rural health services by enticing individual professionals to work in places they don’t want to go. Instead, we need to make it easier to implement changes that rural communities themselves know they need. The Senate Inquiry’s recommendations are good within the current paradigm, but do little to fundamentally change our understanding of how we ensure rural communities are healthy communities. Jane Farmer currently receives research funding from community health services in Victoria; and has previously received funding from UK Economic & Social Research Council, European Union and Scottish Government sources.